Join us for a family-friendly fun run at Brandi Fenton Memorial Park on Sunday, September 18, 2016 at 7:30am. 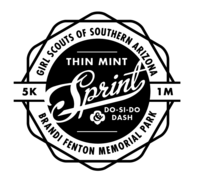 Both the Thin Mint Sprint 5k and the 1 Mile Do-si-do Dash are timed races that are open to both runners and walkers. This flat out and back course is ideal for new runners as well as elite runners looking to PR. We will also be offering a free 100 meter trefoil trot race for children 5 and under at the conclusion of the race at the race expo. All youth participating in the race will receive a Thin Mint Sprint patch and all racers will receive a Girl Scout Cookie at the finish line! Join us for a family-friendly fun run at Brandi Fenton Memorial Park on Sunday, September 18, 2016 at 7:30am. Both the Thin Mint Sprint 5k and the 1 Mile Do-si-do Dash are timed races that are open to both runners and walkers. This flat out and back course is ideal for new runners as well as elite runners looking to PR. We will also be offering a free 100 meter trefoil trot for children 5 and under and the conclusion of the race at the race expo. All youth participating in the race will receive a Thin Mint Sprint patch and all racers will receive a Girl Scout Cookie at the finish line! 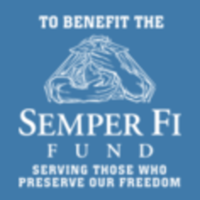 *Participants must register by Sunday, August 28th , to be guaranteed a race shirt. T-shirts for registrations received after August 28th are subject to availability. Race packets are available for pick up on Friday, September 16th at the Girl Scouts Resource Center (4300 E Broadway Blvd) from 10am-3pm. and Saturday, September 17th from 10am to 2pm. Race day registration is available from 6:00am-7:00am at Brandi Fenton Park. Top 3 overall winners will be taken out of age group awards. Race day events will take place on the northwest side of the park at the Commons Area. Parking can fill up quickly and we encourage carpooling.